A Chinese probe has concluded that Mercedes fixed prices of spare parts. According to China’s official Xinhua News Agency, regulators said the German luxury carmaker manipulated the supplies of replacement parts. Officials working for the National Development and Reform Commission (NDRC), (anti-monopoly bureau) of Jiangsu province reported that the Mercedes C-class spare parts needed to make one car were costing the equivalent price of 12 vehicles. The NDRC has not yet announced what type of penalty it will impose on Mercedes-Benz. Chinese law allows fines worth up to 10% of the previous year’s revenue within the country. NDRC spokesman, Li Pumin, said anti-monopoly officials in Jiangsu have started investigating Mercedes-Benz dealerships in five cities, including Wuxi and Suzhou. NDRC officials raided the company’s offices in Shanghai, Mr. Pumin added. Two weeks ago, Mercedes-Benz announced it was planning to reduce the price of spare parts within China by 15% in after-sales maintenance servicing for all models starting on September 1. Other western automobile companies, including Chrysler, Audi and BMW, are also being investigated in an anti-monopoly probe by authorities. Toyota’s Lexus unit is being monitored, the Japanese carmaker said. General Motors has recently responded to information requests by regulators. In early August, the NDRC said it will sanction Fiat and Chrysler for monopoly practices. Audi, which has the largest market share for luxury cars in China, will be fined 250 million yuan ($40.7 million) for similar misconduct, Chinese media reported early last week. In response to the probe, Europe’s largest carmaker Volkswagen said it will reduce the prices of its spare parts. 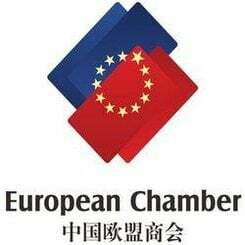 The European Chambers of Commerce in China is alarmed at the reports of intimidation and coercion. European, North American and Japanese companies from several industries, especially pharmaceuticals, food and technology businesses have been increasingly hounded in China, in what many see as a xenophobic campaign. Ever since a Chinese anti-dumping investigation was ordered by the European Union last year, European pharmaceutical companies have been the targets of a growing number of probes in China. The European Chamber of Commerce in China said its members were wondering whether overseas companies were being unreasonably hounded. The European Chamber says it has received several disturbing accounts from different sectors that intimidation tactics are being utilized to force companies to accept penalties and remedies without full hearings. A number of businesses have been warned not to hire lawyers or tell their respective chambers of commerce or governments. China’s Ministry of Commerce rejects accusations of xenophobia behind its anti-trust investigations, saying that domestic and foreign businesses are both equal before Chinese law. In July, foreign direct investment into the Chinese mainland took a 16.95% nosedive compared to July 2013.